We all expected the day would come when links would no longer hold it’s ever important value in the world of SEO. Alexander Sadovskiy, Head of Web Search over at Russian Search giant Yandex, has revealed that in 2014 they’ll be rolling out a new advanced algorithm which will no longer consider links as a relevant factor in SERP rankings. While this is certainly a bold move by Yandex, Sadovskiy has also revealed that through extensive tests, the quality of their search results has still remained as of a very high standard. This may come as quite a surprise for most SEOs and search engine engineers as through the past decade we’ve heavily relied on links to set the standard of the SERPs. How Will This Affect Global Search? With Yandex making its first move towards deeming links of low importance, this might potentially steer the SEO industry into a whole new direction if Google and other search giants such as Bing and Yahoo continue in the same path. My guess is that Google won’t be too fast to jump on board. However, 2014 will certainly prove to be quiet interesting for Russian businesses who solely rely on SEO as their main form of marketing. However, should Google choose to steer their ship into the same path as Yandex, SEO companies will be forced to step up their game. Search engines are constantly evolving and we shouldn’t be surprised to see new ranking factors coming and going. Businesses should be relying on building a positive brand presence rather than purely focusing on attaining links. A few suggestions to keep in mind. With online reviews becoming more important than ever, it’s important that many local businesses stay on top of this. 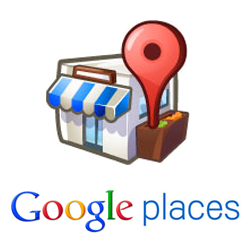 Ensure there is a consistent incoming stream of legitimate reviews being submitted towards your Google Places listing. Encourage loyal customers to leave reviews and find opportunities with new customers to get them involved after a positive transaction has been made. Manage your social media profiles and ensure constant updates are posted on a regular basis. The more you post, the more chances are available at building a strong and vibrant following. A strong following will natural prove to search engines the authority of your brand and may more than likely result in higher positioned rankings. As the old saying goes: Content is King. If links are no longer relevant, it’ll be important that you capture additional SERP real estate by publishing an even greater amount of high quality content. A good start to blogging would be publishing company news, latest industry news, company achievements and more. The more transparent you are about your business the greater your chances are at connecting with potential prospects and customers. Local Citations will prove to be a vital signal in high rankings if links are deemed useless. Get your brand name submitted across as many high valued directories as possible. Consistent NAP across high-quality platforms will cement brand authority and will spread brand recognition. Should you properly keep up with all 4 of the suggestions listed above, I have no doubt your website will be keeping up with whatever the search engines choose to throw your way.